This beautiful Chanderi Hand Block Printed Saree comes with a hand block printed blouse. This Chanderi Silk Hand Block Printed Sari gives a gorgeous ethnic yet trendy look and stands you apart in the crowd. 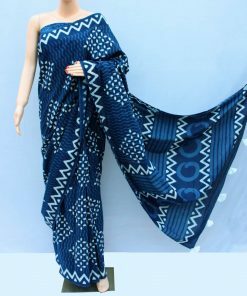 It comes with a hand block printed blouse of 80 cms.